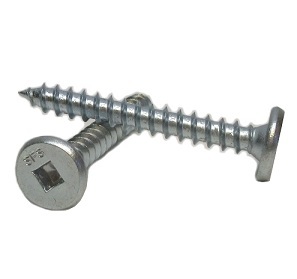 Designed for attaching standing seam roof clips to wood, metal and other low profile roofing attachment situations. Designed with unique head styles drill point configuration and material type to meet performance requirements to attach standing seam roof clips. Engineered profile features preventing panel damage from fastener head contact. Sizes: 1", 1-1/2" and 2" in #10 and #12 sizes. Points: Self Drilling TEK, and Type-A Sharp Point. Threads: Type XG Extra Pull Out Thread and Point. #10 ID x 1/2 OD 316 Stainless Steel Sealing Washer. 20 Gauge 316 Stainless Steel with Bonded EPDM Rubber Seal. 100/Bag. Price/Bag. #10 ID x 3/8 in. OD (ID fits #10 fasteners) 20 Gauge Hot-Dip Galvanized Steel with 0.065 Thick Bonded EPDM Rubber Washer. 1000/Bag. Price/Bag.